Taking part in Family Systemic Constellation workshops and training with Maria Dolenc over the past 13 years has been the catalyst for deep growth, connection and love, beyond what I thought was possible. Often I was blinded by my own story or fears and I would project that onto my relationships, bringing the complete opposite to what I wanted, connection. The way Maria works using constellation work has an incredible ability to bring what is really needed, fearlessly supporting others to see what is truly there not the minds projection or story. For this reason Family Systemic Constellation work has been from the very beginning an integral part of our program at Byron Private. For over four years I have personally bore witness to the power of this work with our clients and been inspired by their courage and willingness to see whats needed to bring healing, not only to their own lives, but to their families, their children and the collective field they are connected to. Having previously been offered only in Sydney, it is exciting and with a lot of pleasure we announce that Maria will be bringing her training to Byron Bay for the first time. Systemic Constellation is a method which, if we are attentive and sensitive, opens the door to the depths of the soul. Maria will guide you through an experiential, educational and theoretical journey into Systemic Constellation work grounded in the principles and practice of Gestalt therapy. MARIA DOLENC: Maria Dolenc is a qualified Gestalt therapist, Family Constellation Facilitator, Trainer and accredited PACFA supervisor. She worked at South Pacific Private as a Family Therapist and Clinical Supervisor for twelve years and was also co-director at Gestalt Therapy Sydney. Over the last 4 years Maria has been conducting Family Constellations workshops at Byron Private. She now devotes her time mainly to what she loves doing, which is Constellation workMaria has studied Family Constellation work with leaders locally and overseas. 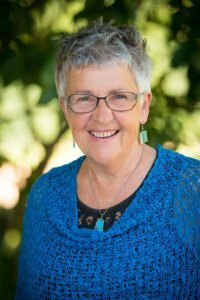 She has been conducting Family Constellation Workshops and Facilitator training in Australia and Internationally for over ten years. She has been instrumental in bringing Family Constellation to Sydney as well as being part of organising the first three Australasian Constellation Intensives. Tanmaya will be joining Maria again as co-facilitator. Tanmaya has been conducting Family Constellation workshops for over ten years. He has studied Family Constellation work both locally and overseas. He also brings his learning from Zen, Buddhism, Sufism, Gestalt and years living and working in Osho’s community. I would like some more details on the course please and the cost of the course, I am very interested in this type of work. Hi Vicki, you just need to contact Maria Dolenc, her email is [email protected] or phone 0425 277 279. Its a wonderful course!